I am so amazed at the sovereignty and plan of God! My husband and I were asked to assist a church restoration effort in England for one year. One year became two and soon our visas expired and we found ourselves at a crossroads, “Do we stay longer or return to the USA?” We enjoyed working and serving in England, but my husband didn’t have a peace about staying longer. I vividly remember my husband saying to me, “I believe one day God will lead us back to England” as we somberly sat in our airplane seats. At that moment we had no clue the reason God was bringing us back to the USA was to build our family through adoption – we were just obeying Him in faith. The next year was difficult as we went to several doctor visits only to be told there was no earthly way we could have children. (You can read all about our infertility/adoption testimony at “openarmsheldhigh.blogspot.com” ) During this time my husband pastored a church for a year and a half and from time to time I thought, “Maybe one day….”. Through a variety of circumstances, God moved us away from the pastorate and once again we found ourselves at the crossroads. We didn’t want to make any hasty decisions and we fervently sought the Lord for nine months before feeling confident it was His hand leading us to permanently return to the United Kingdom. I am very excited but rather nervous/anxious/ scared at the big step of deputation and moving abroad with my child(ren). I know many of you don’t even know who I am, but if you could begin praying for my family I would appreciate it. We are beginning deputation in June while simultaneously walking through the adoption process. Both are huge journeys and I need God’s grace. I want to be a sponge and soak up counsel and advice from women who have walked this road before. If you have any practical tips on traveling, moving, or balancing family and missions please let me know. Here is the link to our website. 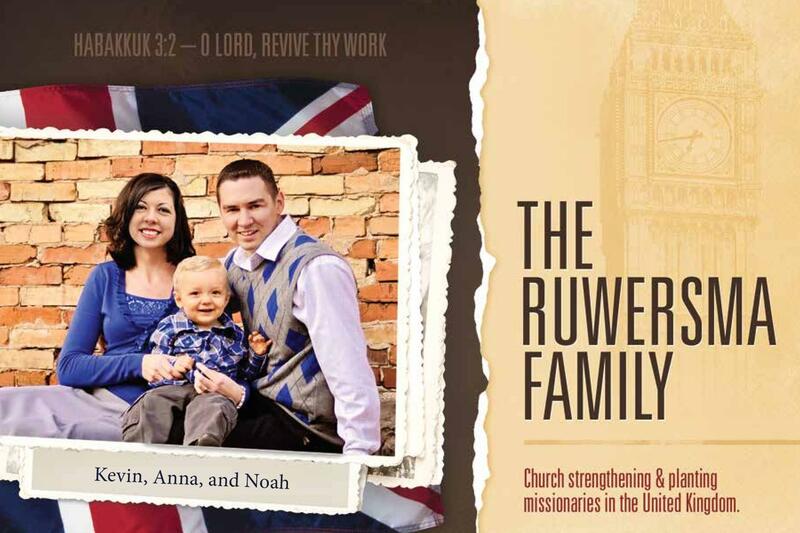 We would love to share our burden for the UK with your church or family. Thanks for listening to my heart….and thanks for praying. Categories: Anna (past author), Uncategorized | Tags: adoption, Deputation, Missions | Permalink. For we walk by faith, not by sight (2 Corinthians 5:7) is a very meaningful verse to me during this journey to adoption. As soon as my eyes ran across this verse I claimed it for my own before beginning our second adoption process. I had been asking the Lord to give me something special for this next step. Before Noah’s adoption my husband and I used the theme, “Open Arms Held High”. Although that remains true, we are in a different position in our lives. Right now there are many decisions hanging in the balances. I’m not talking small things, but BIG things – we are facing a collision of life altering decisions happening simultaneously. My husband and I believe the Lord is leading us to a new ministry, one which we will have to relocate. We don’t know the when, where, or how, but we know WHO is leading us and that He is in complete control. It isn’t very comfortable walking into the unknown. At times I feel blindfolded with my arms outstretched in front of me, but I’m putting one foot in front of the other in faith knowing God is in control of my future. When I stumble and trip on a bump that is along the road…I’m going to remember that I am walking by faith, not sight. Categories: Anna (past author) | Tags: adoption | Permalink. 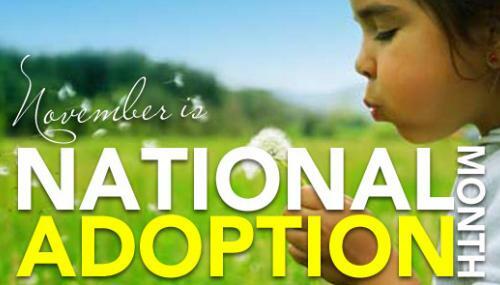 November is National Adoption Month and Sunday, November 4, is Orphan Sunday. I would like to share my personal testimony of how adoption has touched my life. God’s plan is always perfect. Although we often doubt His divine purpose and plan, His way is always best. After about four years of marriage we were told it would be humanly impossible for us to have children. We walked out of the doctor’s office devastated that our hopes and dreams had been shattered. We prayed and sought the Lord for His leading during this trial. We realized it wasn’t that God was withholding something from us, but He had something much greater for us! We feel so privileged that God would choose us for this special opportunity. We had to walk through the pain, sorrow, and trials of infertility to receive the special blessing of adoption. We began the adoption process March of 2011 through Bethany Christian Services. The Lord taught us to trust in Him as we signed paper after paper, completed our home study, and prayed He would lead us to the right birth mother’s profile. We finished our home study on June 10, 2011. On June 20 our profile was shown to the first birth mother, we were chosen on June 27, and by August 30 we were holding our precious son, Noah! For us the adoption process went very swiftly and smoothly. Although we can look back and say all of those events just very quickly lead us to our child there were still several days we just clung to the promises of God. We knew God had someone special for us, someone He had already chosen for our family. We had to learn to rest in His perfect plan for our lives. We are thankful we were able to meet the birth mother and birth father before Noah’s birth. 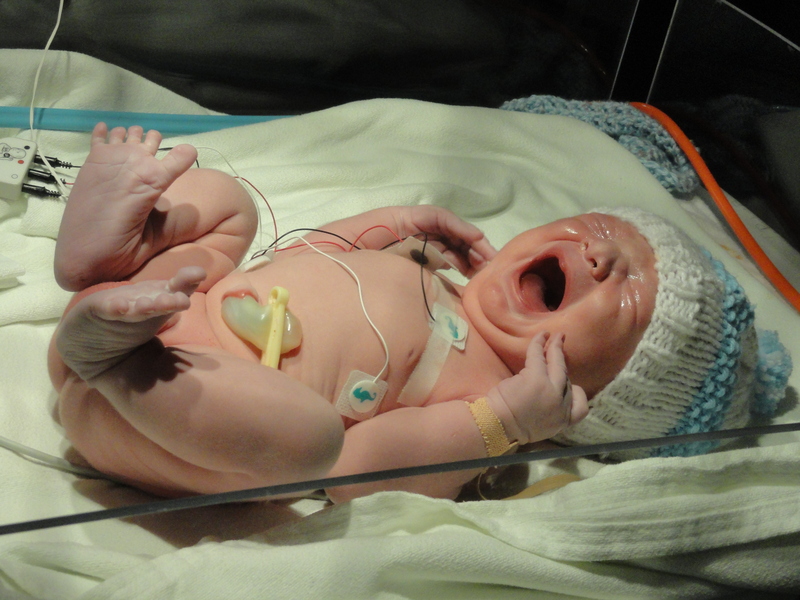 We had the privilege of staying at the hospital during Noah’s birth until we brought him home a couple of days later. 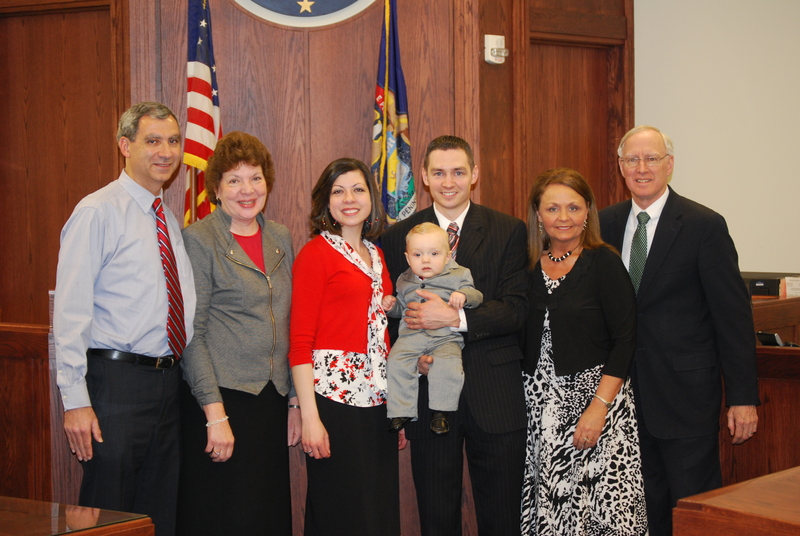 The most difficult step of our adoption process was during the entrustment ceremony. As we hugged the birth mother and birth father and thanked them for trusting us with this precious life, our hearts were overwhelmed with emotions. We are grateful to the Lord for choosing us for the special joy of parenting Noah! We are blessed to have a semi-open adoption and a sweet relationship with Noah’s birth family. The Lord answered one of our prayers when we were able to introduce Noah’s birth mother to faith in Jesus Christ! The moment she professed Jesus as her Savior was truly a testimony of God’s providence and grace. Adoption has deeply affected our lives in a variety of ways. Primarily it has given us a deeper appreciation of our spiritual adoption in Jesus Christ. It makes our salvation much more significant to think that God sacrificed His only Son so that He could adopt us into His family. Going through the adoption process has strengthened our faith in the Lord and stretched us in ways unimaginable. It is my prayer that more Christians would obey the command of Christ found in James 1:27, “Pure religion and undefiled before God and the Father is this, To visit the fatherless and widows in their affliction” Some may be called to adopt, some may be able to financially help, but all can pray and should! I hope we will dedicate the upcoming month to ask God what He may want us to do for the many orphans around the world. Categories: Anna (past author), learning from our children | Tags: adoption | Permalink.